Supporting LGBTQ Texas State students by providing educational and leadership scholarships in order to promote retention of an underrepresented community. This Anti-gay Pastor has been naughty! Let’s give him COAL! Remember that rainbow painted house across from the Westburo Baptist Church? This group was the behind it! Once again they are fighting hatred against the LGBTQ community. This time combating the words of an Anti-Gay pastor in Arizona, calling for the extermination of gays to ,”…have an AIDS-free world by Christmas.” The group is using a little humor this holiday season, just like the Equality Rainbow House, to send a message to this hate-monger. 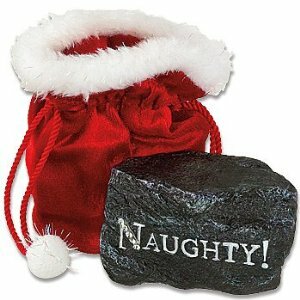 For every donation the organization receives to help serve the HIV/ AIDS community, they pledge to send a lump of coal to naughty Pastor Anderson! Let’s help fill Pastor Anderson’s stocking this holiday season with what he deserves, COAL! To read more on the story you can check out the Huffington Post’s story on the campaign or donate here. The Bobcat Pride Scholarship Fund is private and independent from Texas State University. The fund is a recognized 501(c)(3) non-profit organization. All donations are tax deductible. All donors receive a verification letter they may use for tax purposes. Caroline Bassett-40 Hot Queer Women in Comedy! One of our Very Own Drag Out Funny Performers made the cut!